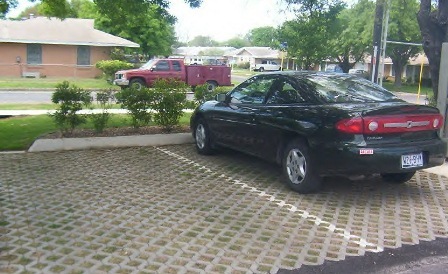 Turfstone is an environmentally friendly multi-purpose concrete grid type paving unit. 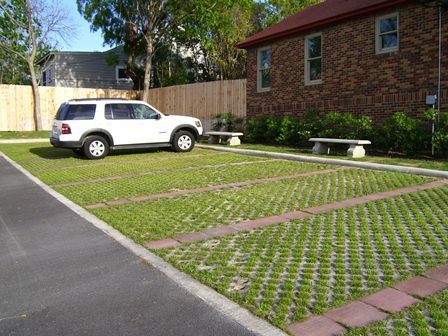 It allows grass to grow up through the regularly spaced openings or can be completely covered by sod for an invisible installation. 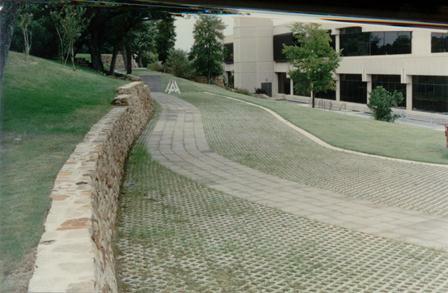 Turfstone is often used in lieu of blacktop or concrete to permit rainfall to return to earth through the paved surface area; reinforcing grassy areas subject to occasional traffic for overflow parking, access roadways, emergency routes and fire lanes. Turfstone is a proven solution with no tendency to float up over time. 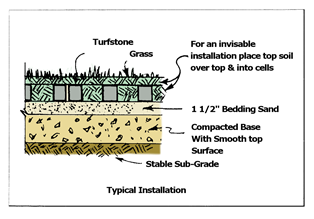 It allows grass to grow up thru the surface; turfstone can be completely invisible if covered with sod while creating a long lasting reinforcement system for grassy areas.